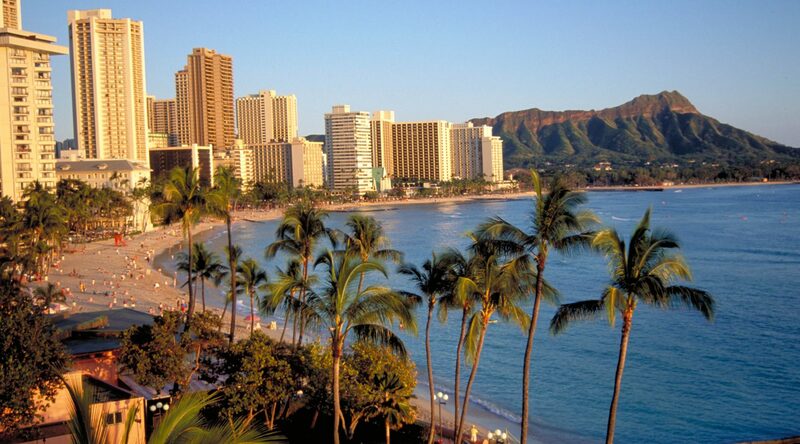 Around 1898, the Honolulu Brewing & Malting Company was formed by Honolulu industrialist Alfred Hocking, and launched the Primo Lager Brand in 1901. From 1920 to 1933, The Prohibition caused Primo to halt operations. In 1933, Primo reopened under ownership of Hawaii Brewing Corporation. Then in 1963, Schlitz Brewing Company acquires Primo. Schlitz eventually moves operations to California where it was bought out by Stroh Brewing Company in 1982 and then discontinues the Primo brand in 1997. The locals were not happy. Luckily enough, the Pabst Brewing Company acquires the Primo Brand and decides to bring it back in 2007. Let’s fast-forward a couple of years when Kona opens up on the Big Island in 1994 with their flagship beers, Big Wave Golden Ale and Fire Rock Pale Ale, they then introduced Longboard Island Lager three years later, which has become a staple for beer drinkers on the Islands since 1998. Well, like a lot of great craft breweries, they got bought out by Craft Brew Alliance, which in 2013 sold a 32.2% stake to Anheuser-Busch InBev. Another great brewery surfaced in 2005, Maui Brewing Co. If you haven’t already done so, try their Coconut Hiwa Porter, it’s delicious. I recently had the pleasure of visiting Oahu and found a couple of little gems that are doing some amazing beers, I am sure they will get a knock on the door in the future from someone looking to acquire them up. 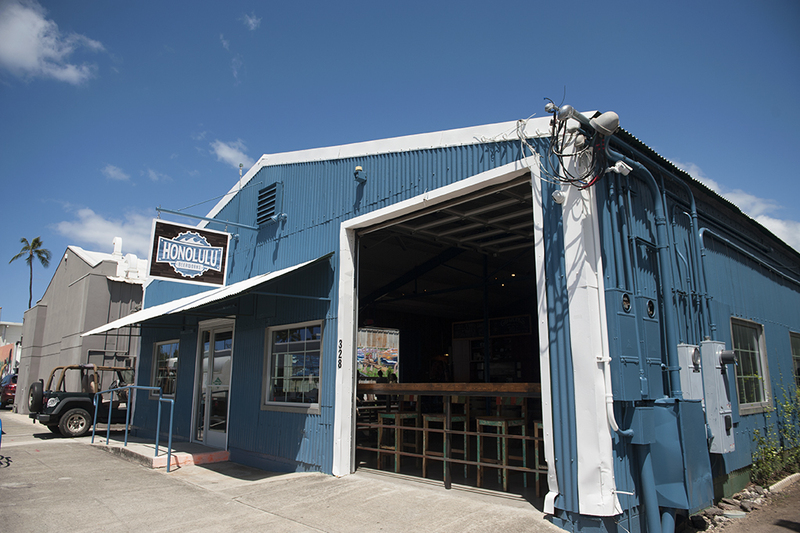 A great little brewery located between Waikiki Beach and downtown Honolulu. In 2010 Geoff Seideman’s wife, Charmayne gave him a home brew kit for Christmas. It was the start of an obsession. 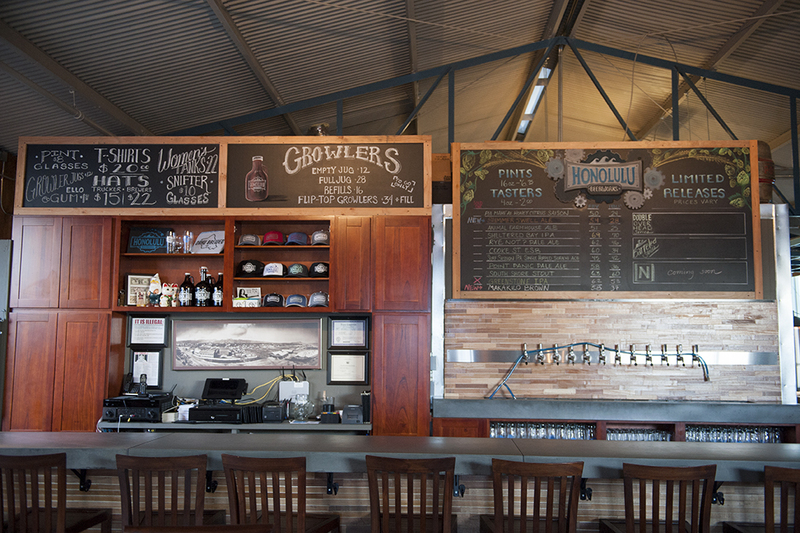 Today Geoff and Charmayne are the owners of Honolulu Beerworks. With a taste for home brewing, Geoff started volunteering at local breweries. 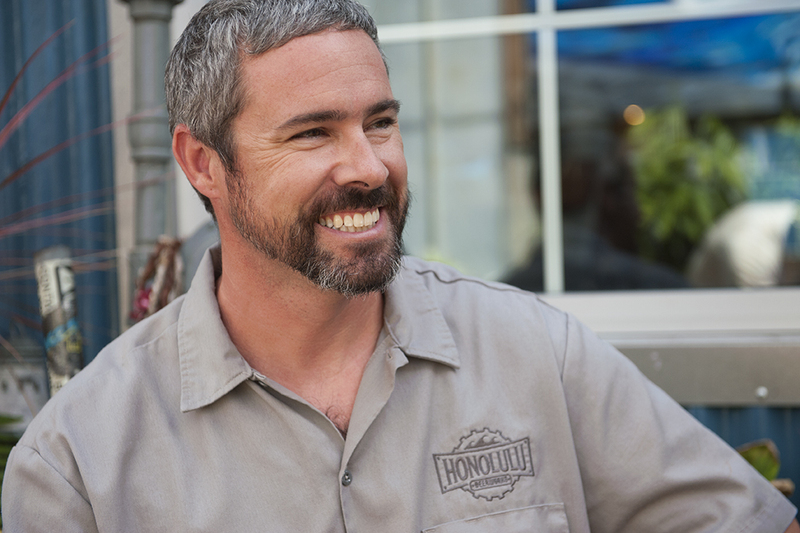 He became the assistant brewer of Aloha Beer. By focusing on the core aspects of brewing and the history of beer Geoff and wife Charmane managed to turn an old run down warehouse into a rustic but classic brew pub. The environment that has been created is one where people can truly sit back and savour a delicious refreshing beer. When Cheesburger Restaurants GM, Joe Lorenzen saw untapped potential in the unused banquet room at his restaurant, as a home brewer, his dream was to use the space to brew beer. With the help and support of Laren & Edna, founders of Cheeseburger Restaurants, the planning and schooling commenced. 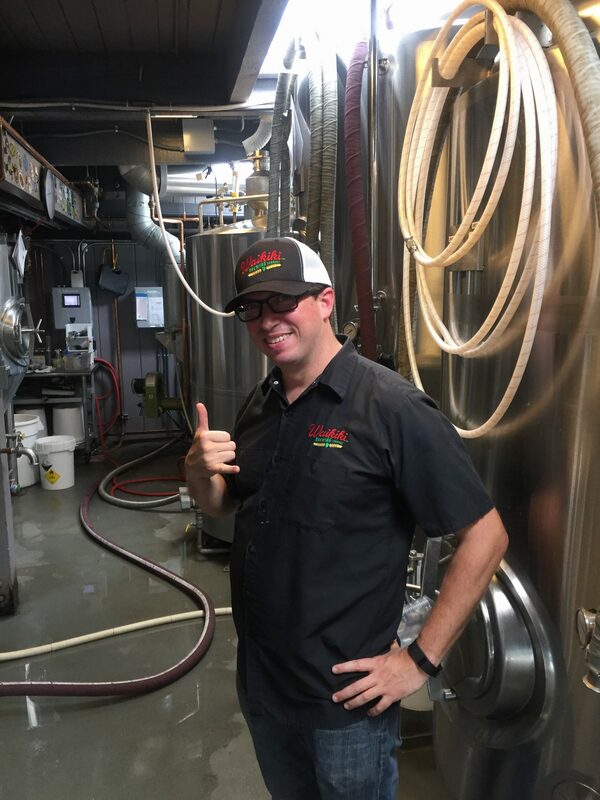 After completing coursework with the American Brewers Guild, Joe is now the brewmaster for the up and coming Waikiki Brewing Company. 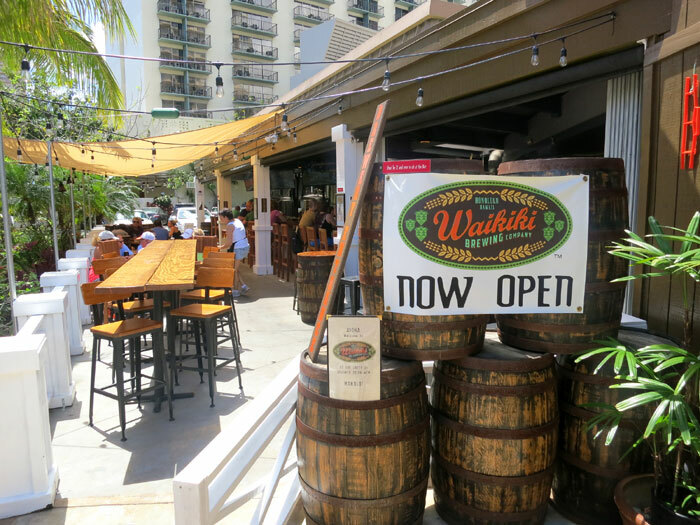 Waikiki Brewing Company opened on March 24, 2015 at the corner of Kalakaua Avenue and Ala Moana Boulevard, on the makai side of the same single-story building that houses long time tenant and owner of WBC, Cheeseburger Waikiki. Both of these breweries are producing great beer using local ingredients. 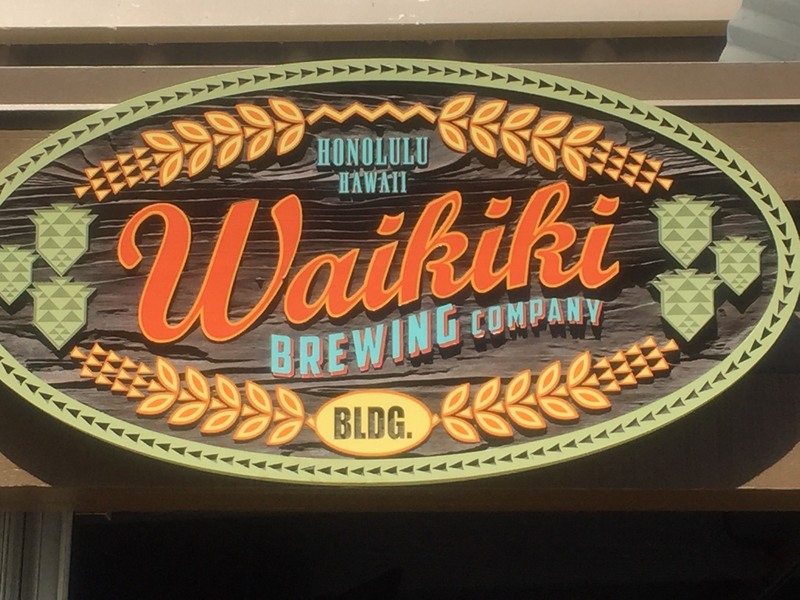 If you’re planning a trip to Oahu, these two breweries are a must try.